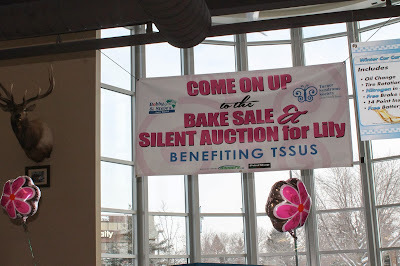 Banners.com donated a vinyl banner to help raise money for the Turner Syndrome Society of the United States. The banner was displayed at a bake sale and silent auction for Lily. The silent auction and bake sale raised $3,290 which was donated to the Turner Syndrome Society of the United States to help women and children living with Turner syndrome. The money will help create awareness, promote research, and provide support for lives touched by Turner syndrome. If you would like more information, please visit the Turner Syndrome Society website.